Very excited to announce that local legend, Richard "Big Bird" Mailhot and I have combined force to bring you: Big Gig / Skulboy Present. Check out our Facebook page Here. 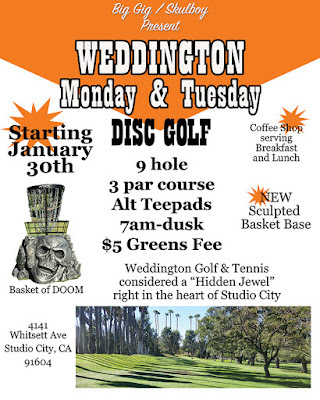 Our main goal, MORE DISC GOLF! 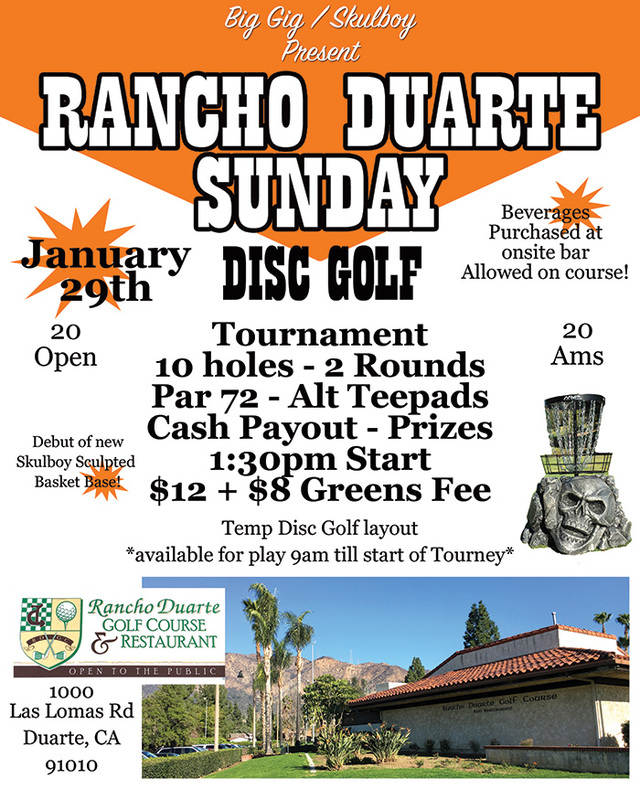 Our first event is bringing Disc Golf to Rancho Duarte Golf Course for a once a month, trial run tournament. 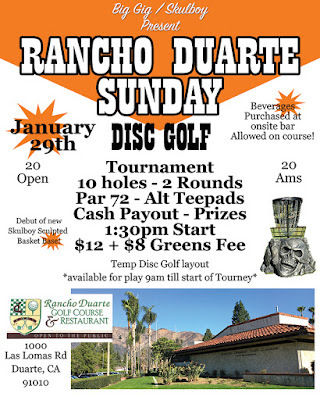 10 holes with 4 par 4s and 1 par 5. Going to be awesome. Studio City, CA. Sweet 9 hole course. 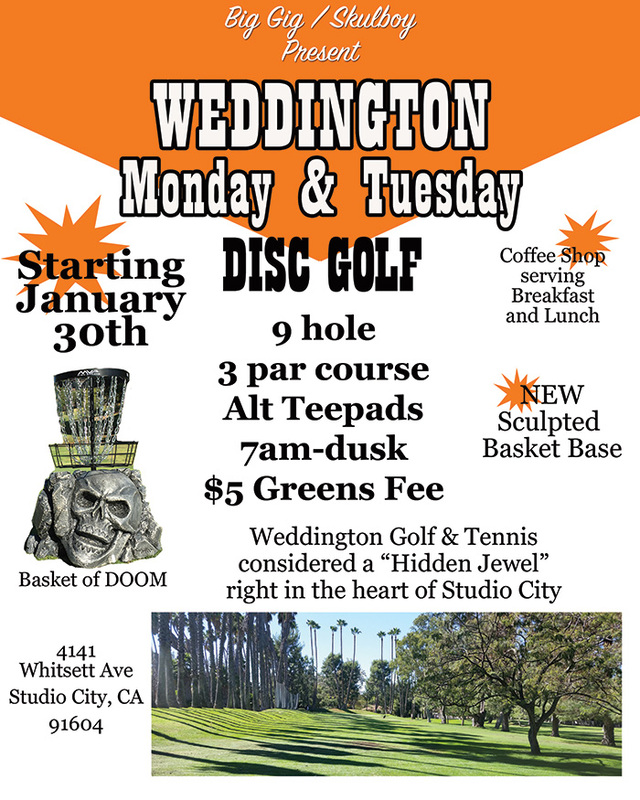 Stay Tuned, more Disc Golf to come.